IASC: Inter-Agency Standing Committee. Grouping UN agencies, NGOs, the Red Cross, and other international organisations, the IASC is a forum for humanitarian responders to develop policies, agree on a clear division of responsibility for the various aspects of humanitarian assistance and identify gaps in response. 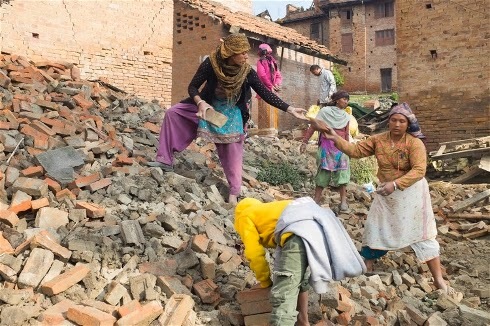 Weaknesses in the humanitarian system exposed by disasters in Pakistan and Haiti led to a process of IASC reform, called the "Transformative Agenda" - TA. AAP: Accountability to Affected Populations. Accountability has been a buzzword in aid for years now, and gaining in prominence as an issue. The improvement of two-way communication between aid agencies and their clients - or “beneficiaries” - is now often wrapped up in AAP. Related terms include CwC - Communicating with Communities and CDAC - Communicating with Disaster-Affected Communities. USAR: Urban Search And Rescue. When search and rescue teams are deployed internationally, they may be called ISARs. About 60 USARs have registered in Nepal and the government has said it does not need any more. They often are combined with FMTs - Foreign Medical Teams.